"Kids who go to many Kansas City-area schools are almost as likely to drop out of high school as they are to graduate... When kids drop out, they’re more likely to earn less money, wind up on welfare, get divorced, become criminals and even die early, according to research3. With a future like that, why would anyone drop out of school? One of many reasons is that some kids can’t read." That's why this month we're highlighting Lead to Read, one of our UNA Cares nonprofit partners. Below is how they're helping kids learn to love reading, how UNA is supporting, and how you can help. In their own words Lead to Read "connects trusted, caring adult volunteers (called Readers) with kids in grades 1 through 4 from every walk of life. 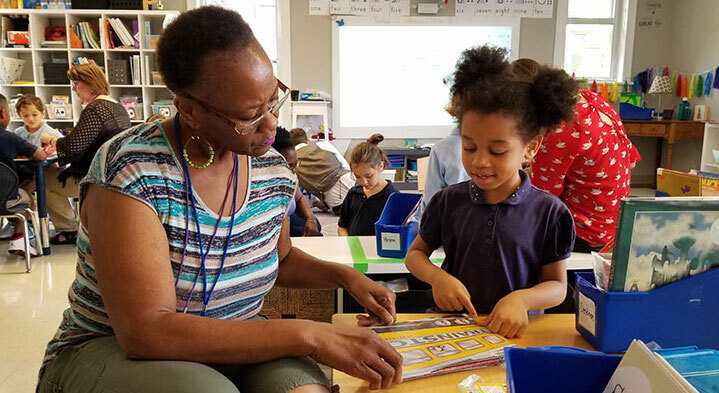 Once a week, for 30 minutes, Readers and kids explore the world by reading books provided by the children’s teachers, in the safety and security of an elementary school classroom." I'm Anna Duin, UNA's Senior Digital Brand Strategist. Lead to Read has a very special place in my heart. I've been volunteering with them for two and a half years, working with four different students. I've watched a very self-conscious first-grade boy go from struggling with simple words to tearing through books and winning speed-reading contests. Read with a 2nd-grade boy who always had holes in his clothes and whose parents worked long hours as a cook and a cleaner. I'm not sure how much reading time he got at home, but he came alive when we studied science books together. And when I gave him his own copy of Captain Underpants, he couldn't keep the grin off his face. Last year was a fireball student who couldn't keep still. His favorite word was "no." You could tell he struggled with reading; therefore he avoided it at all costs. I had a tough time connecting with him until a child psychologist told me that kids like him, children most of us would call difficult, are the most discouraged of children. They're in desperate need of love and encouragement. She advised me to start telling him how cool and smart he was. How much I liked him — even when he was very uncooperative. So I did. While he whined and complained, I showered him with praise. The change was dramatic. He went from being argumentative and defiant to stunned and quiet. He started to enjoy our time together, even hugging me when we said goodbye at the end of the year. Right now I'm working with a nonverbal little girl. I read to her, and she uses sign language to tell me yes and no. When I ask her to point to her favorite character in the story or to turn the page, she lights up. Getting to know her and her para has given me a whole new appreciation for the balancing act instructors pull off every day. Each kid has been unique, yet reading changed all of them. 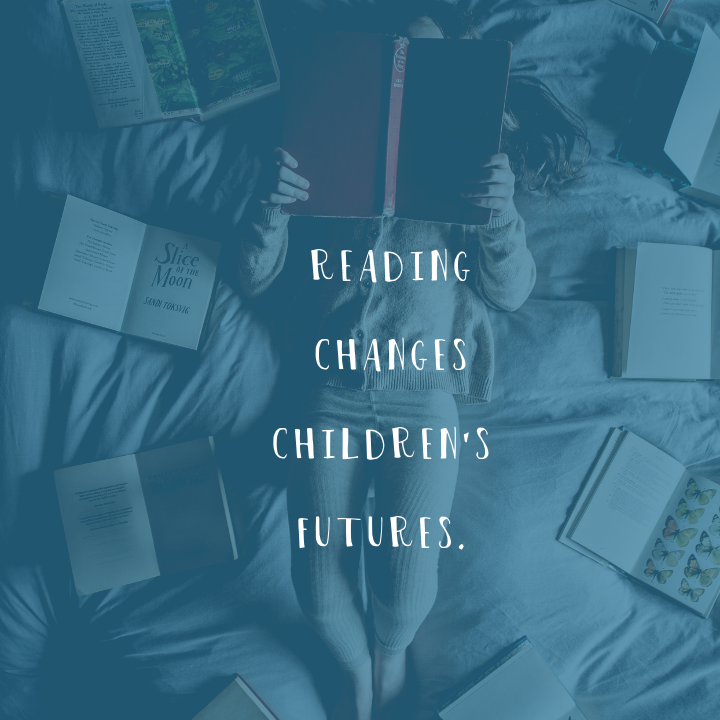 Volunteering with Lead to Read has taught me that giving up one lunch hour a week may not seem like much to me, but it can change a child's life. We are helping in two key ways. First, we encourage our team to sign up and read once a week over lunch. Second, we're putting our money where our mouth is by sponsoring five students for a year. If you don't, use a free volunteer matching system like Volunteer Match to find ways you can help educate children in your area. Here's to helping kids learn to love to read — here's to making sure they succeed.